There is a lot of hype at the moment around the keto diet. And for good reason – people are losing weight quickly and easily without starving themselves or working out excessively. 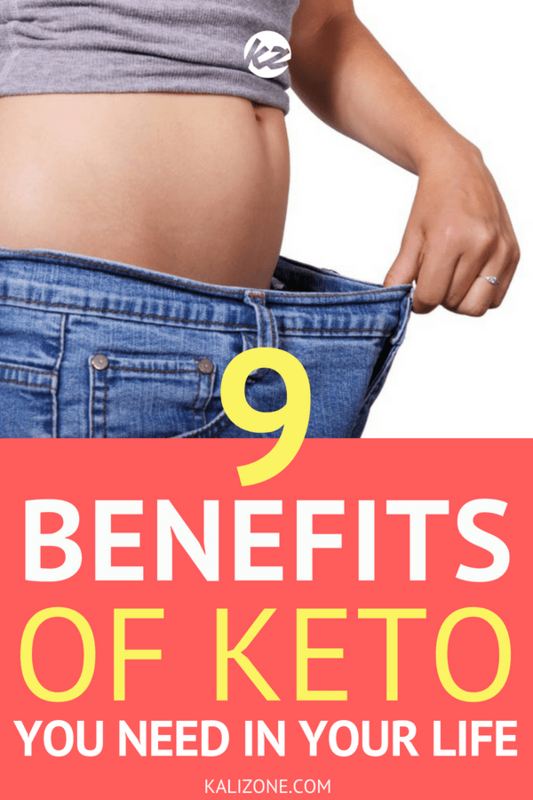 And not only that – people on the keto diet are finding so many additional benefits of keto, other than losing weight! Although it may seem drastic, there is plenty of scientific research that shows keto or low carb eating to be beneficial to your health. There are many critics out of their of the keto diet – but the results speak for themselves! 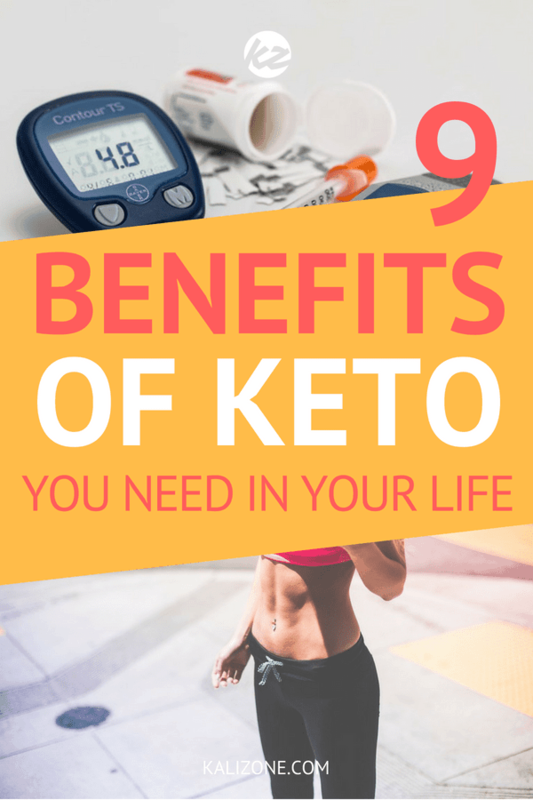 Whatever your reason for starting the keto lifestyle, there are several key health benefits you may end up enjoying. But firstly, let’s recap what the keto diet is all about. The keto diet is a low carbohydrate diet, but it differs from other low-carb diets (such as Paleo) in that it deliberately manipulates the ratios of carbs, fats, and protein to switch fat into the body’s primary source of fuel. Our bodies are used to using carbohydrates as fuel. Fats, which is a secondary source of fuel, are rarely tapped on. That means the extra fat is stored and keeps adding on the pounds. The conventional way to reduce fat in a ‘normal’ diet is to consume less fat and work out a lot in order to increase energy expenditure over daily calories intake. The manipulation of carbs, fats, and protein is crucial in order to get into ketosis. It’s a state when the body, deprived of the usual carbohydrates and sugar, is forced to use fat as its primary fuel. So the ratio of fats and protein are significantly higher than carbs in general. Of course, consuming less carbs also means lowering the amount of insulin in your body. Less insulin = less glucose and fat storage. That is why the keto diet has been so successful in helping people with diabetes. It adjusts the sugar level naturally. The ratio of carbs, fat, and protein can vary. Many people allow themselves up to 50 grams of carbohydrates a day and still lose weight. On a stricter regime, the carb intake can be between 15 and 20 grams daily. The less carbs, the quicker the weight loss. On the keto diet, you don’t count calories, specifically. You count carbohydrates and adjust the intake of carbs vs. fat and protein. A typical keto diet will get 70 percent of its calories from fat, 25 percent of calories from protein, and 5 percent of calories from carbohydrates. The only limitation on the diet is sugar, which you need to avoid. The ketogenic diet is not a fad. Many scientific studies have shown the benefits and healing effects of ketosis. This is one of the biggest reasons people first try out the keto diet. When you first start a keto diet, you will typically lose quite a bit of weight in the first two weeks, likely. This is mostly water weight – it occurs when water that is tied to glycogen is released. 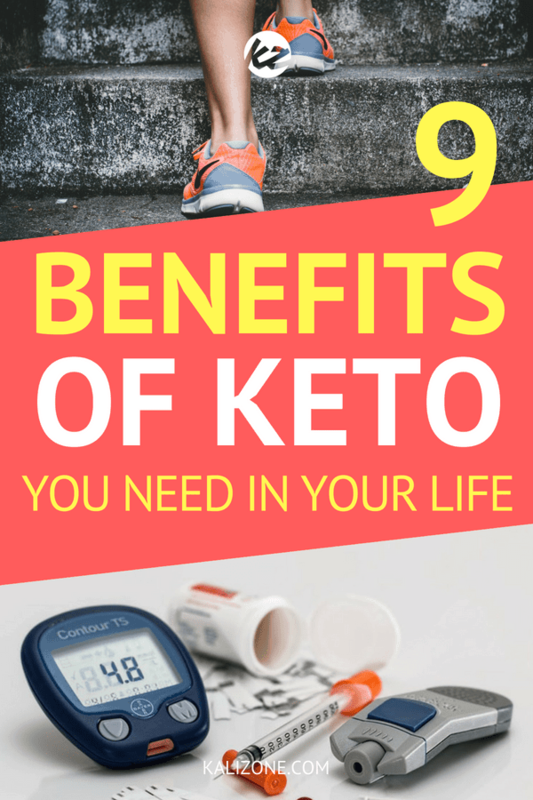 Then, by continuing to use fat instead of sugar as your primary source of energy, the keto diet induces a state of ketosis, which is achieved when your body stops receiving carbohydrates to turn in glucose. The fewer carbohydrates you consume, the more you force your body to burn fat for energy instead of storing it. This is why it is possible to lose weight so quickly on the keto diet. It counts carbohydrates instead of calories. Using fats as an additional energy source is what ketosis is all about. 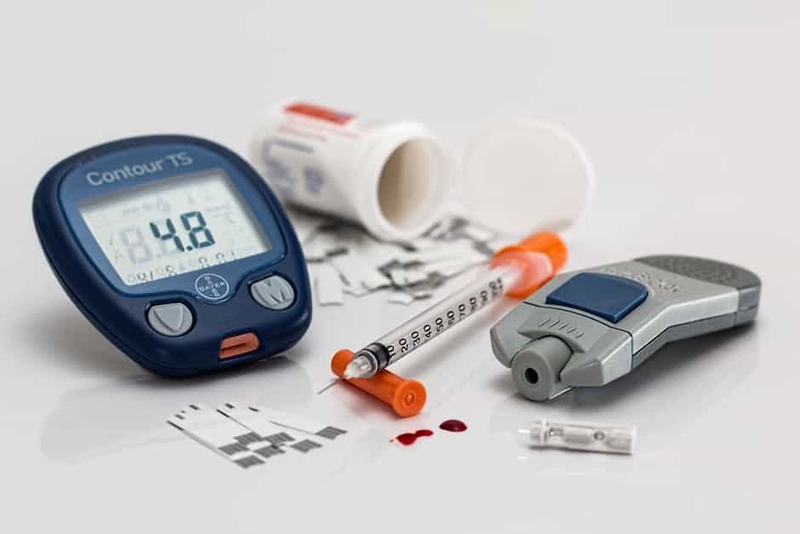 When you follow a keto or low carb diet long term, the chance of developing diabetes and other health issues is greatly reduced. Similarly, research has shown that diabetes, both type 1 and type 2 can be better controlled with a low carbohydrate diet. If you are already diabetic, it is recommended to consult with your doctor when making a diet change. This is particularly the case if you are taking medication for your diabetes, as this may need to be adjusted too. Research is therefore focused on finding ways everyone can realistically lower their blood pressure. The low carb diet can help to keep blood pressure where it should be and prevent it from getting too high. When people suffer from cognitive diseases, such as Alzheimer’s, the brain isn’t using enough glucose, it then becomes lacking in energy, and the brain has difficulty functioning at a high level. The keto diet provides an additional energy source for the brain. A study by the American Diabetes Association found that Type 1 diabetics improved their brain function after consuming coconut-oil. That same study indicated that people who suffer from Alzheimer’s may experience improved memory capacity on a keto diet. Those with Alzheimer’s have seen improved memory scores that might correlate with the amount of ketones levels present. With many diets, people often end up hungry and then snacking and fail to lose weight. They try to restrict their food intake too much and end up ‘falling off the wagon’. This is a very real issue for many people and the ultimate reason why they do not lose the weight they are trying so hard to shift. In contrast, on a keto diet, you do not get the hunger cravings or need to eat like you do with other diets. Research has shown that people who reduce the amount of carbohydrates they eat and replace these with additional protein and healthy fats will eat less and reduce their overall calorie consumption. It’s not unusual, and has become almost normal, to feel tired and drained at the end of the day as a result of a poor, carbohydrate-laden diet. Fat is a more efficient source of energy, leaving you feeling more vitalized than you would on a “sugar” rush. 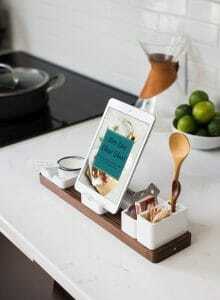 No more afternoon slumps at your desk after work! While it was always thought that acne was at least exacerbated by poor diet, controlled research is still being conducted. However, many people on the keto diet have reported clearer skin. There may be a logical reason. A 1972 study found that high levels of insulin can cause the eruption of acne. Since a keto diet keeps insulin at a low and healthy level, it may very well affect skin health. There is also research indicating that using fatty acids for fuel instead of sugar may slow down the aging process, possibly because of the negative effects that sugar has on our overall well-being. Research has shown that a keto or low carb diet can help to reduce levels of not only subcutaneous fat, but specifically visceral fat also. 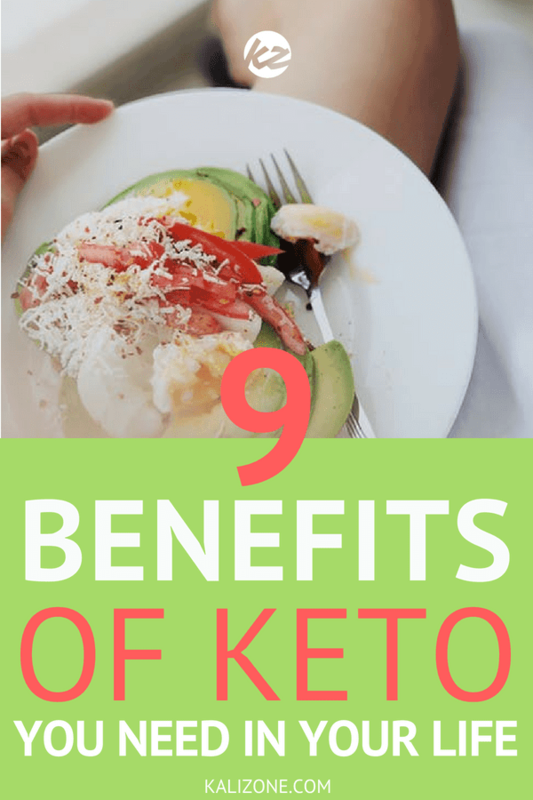 Did you enjoy 9 Benefits of Keto You Need In Your Life?